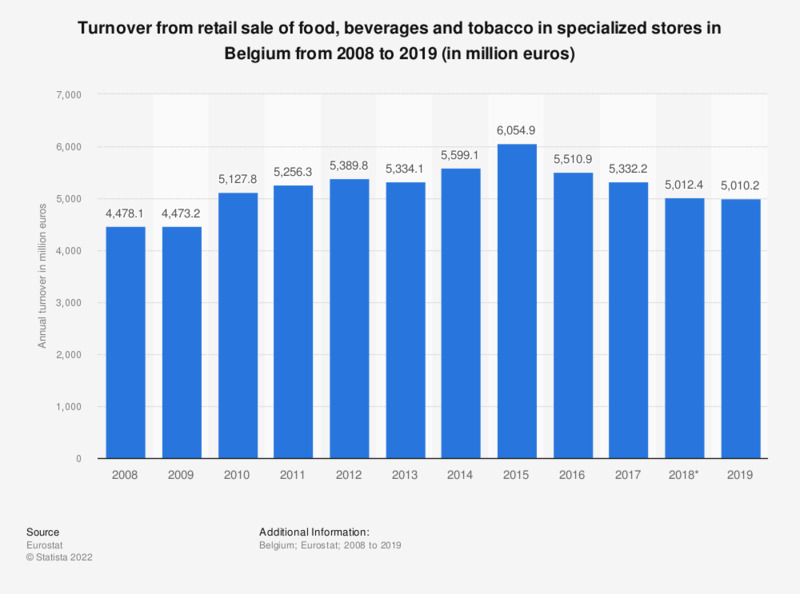 This statistic shows the annual turnover of the retail sale of food, beverages and tobacco in specialized stores in Belgium from 2008 to 2015. In 2014, food, beverages and tobacco stores generated a total turnover of 5.6 billion euros through retail sales. Data coverage is for the code NACE Rev. 2 G 472 of economic activities ('Retail sale of food, beverages and tobacco in specialised stores'). * The source adds that data provided for 2015 is provisional. Statistics on "Food retail in Belgium"